I know I've said this before, but there is something to be said about not having a television to distract*. I think I have got more stuff done in this past week than I have in the preceding months! It also means you have to get your entertainment elsewhere. Usually, this would be computer games, such as the excellent BioShock, but I've just not been in the mood for it lately. However, my little visit to the old drama group last week seems to have planted a little seed in my head and, on my way past the Palace Theatre, I decided to take a look to see what was on ... which led to me booking a seat as soon as I got home! At first I thought The Hired Man by Melvyn Bragg was showing as I had my dates mixed up, but then I discovered that A Small Family Business by Alan Ayckbourn was on its last night, so I thought: "Why not?!" It would appear that there are two extremes when comparing am-dram with professional theatre, namely, quality of the acting and quality of the audience. The quality of acting generally goes without saying: you don't go to an am-dram production to see the finest actors to ever tread the boards. 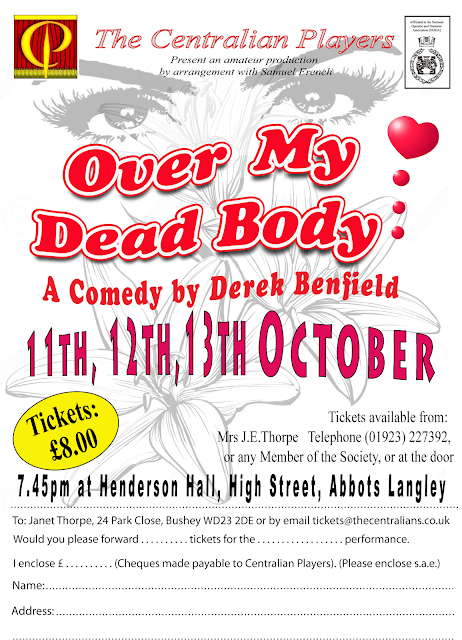 No, am-dram is not for the faint-hearted ... and I am talking about the audience here! However, what really surprised me was the quality of the audiences. Going to the am-dram production you find the people are generally quite friendly and will chat to you, as it tends to be more of a community affair. Okay, the majority of them are probably approaching their 80th birthdays and are actually trying to find out what happened in the first half because they couldn't hear a damn thing, but still, they talk. Go to a 'proper' theatre, and things are just a little different. Perhaps it was just a bad night for some people, but did they really have to all come my way?! I made sure I got to my seat reasonably early, which was actually quite near the outer edge at G23, so only 3 seats in and about fourth row from the front**. Whilst waiting for the show to start, I did the usual thing of looking around to see who else was about when I heard a sound to my right and a stern voice say: "Yes, its those seats". Looking around, there was a guy who was at least in his 50s, standing in front of the seat next to mine, with an unravelled ream of tickets and looking down at me like I was a bug he was about to squish if I didn't move sharpish. I was out to enjoy myself and I wasn't going to let his attitude ruin the night, so I smiled and stood up so he could get past with his entourage ... and only his entourage had the decency to say "Thank you". Was that the end of it? No. The start of the interval was like the start of a dog race. It was like someone had opened the gates and all the hounds were suddenly running full pelt to the bar, the little rabbit replaced with a little tipple. The only time you will witness anything similar will be at a Blue Cross Sale! I don't know, the old folk of today! Anyhoo, the play itself was very good and I would recommend anyone to go and see it§. 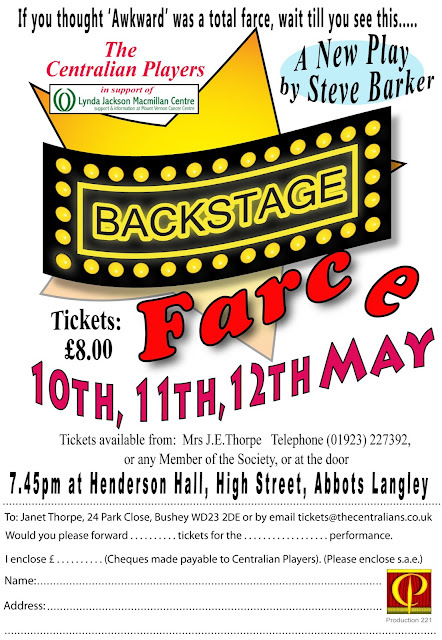 Unless, of course, you would rather come and see my efforts at treading the boards, as I think I have the bug again!!! Oh, and speaking of bugs, has anyone else been inundated with ladybirds? Whilst cooling down from my bath on Saturday, I decided to open the windows to let some air in and found myself bombarded with between 30 and 40 of the little buggers, all settling down for the winter between the window and the frame. Now, I don't have a problem with these little critters (still can't let them crawl on me though), but having hourds of the things launch themselves at you unexpectedly isn't a particularly pleasant experience, so apologies to my neighbours for the language that escaped my lips rather loudly that night! § Well, I would recommend people see it if it wasn't its closing night!